The fact is – it does matter which real estate agent you purchase your home with. That is a given. Every agent will tell you that you should select them based on their credentials and past track record. You already know that you want an agent with the knowledge to best serve your interests, and you are looking for a supportable performance record for your review. But that only narrows the field marginally. How you narrow the Realtors from there is tricky as our community is filled with hundreds of real estate professionals. While it is important to have an agent with education and experience, recognizing the importance of choosing an agent who enjoys a strong reputation among their peers in the Real Estate community is a key point in narrowing your choices. 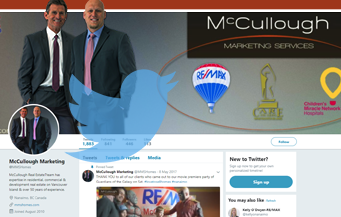 Brian McCullough was awarded the prestigious “Most Professional Realtor” among his peers more times than any other realtor. With 35+ years as a top agent, Brian has proven himself to be a skilled negotiator. Education allows an agent to know how to anticipate problems, avoid them, or be able to handle them quickly in a professional manner, should they occur. Experience polishes and promotes exceptional negotiating skills, which can mean the difference between a contract that works, and a contract that collapses. Reputation can make a huge difference for a buyer. If you are a buyer and want to present an offer on a home which has multiple offers, the Seller’s Agent is more likely to encourage their client to consider an offer which comes from a Realtor that they respect. Combined, these 3 elements work together to promote a smoother sale, the best price for you, in the least amount of time. Brian & Myles McCullough take the buying process as seriously as you do. Nothing other than the highest quality of service is delivered to each and every one of our Clients. We will take the time necessary to develop a clear understanding of what you are looking for. Throughout the buying process we will maintain your confidentiality and represent your best interests. We will use every available method to locate a property that matches your search parameters. This will include properties listed on MLS, as well as those unlisted. We will disclose all known facts about the property that are likely to affect your decision. As well, we offer an automated email buyer program that automatically emails you when a property that meets your criteria is listed for sale. You are notified of these properties even before some real estate agents! We will ensure that you obtain agreeable terms and a competitive interest rate. 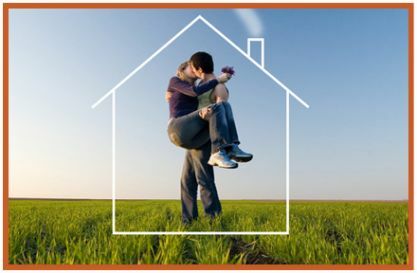 As well, we offer a comprehensive Buyers Booklet that takes you step-by-step through the entire home buying process. If you are thinking about buying your first home, investment property, or selling your existing home and arranging a new mortgage for your next home, feel free to visit www.gregnowik.com for all of your mortgage and financing needs.